We know that the health of a company correlates strongly with the well-being of its employees. Happy and fulfilled employees generally work harder, build stronger loyalties and become better brand ambassadors. So how do we make sure that employees are happy? Well, there’s a wealth of research telling us that people, especially millennials, are looking for meaningful careers with companies who care about our world. A great way for companies to acquire talent (and keep it) is by becoming a leader in sustainability. But working towards becoming more sustainable shouldn’t end when the recycling bins have been handed out or even when the solar panels have gone up. Sustainability efforts need to reach every part of a business (and beyond). This includes discovering sustainable solutions for corporate travel and workplace commuting. 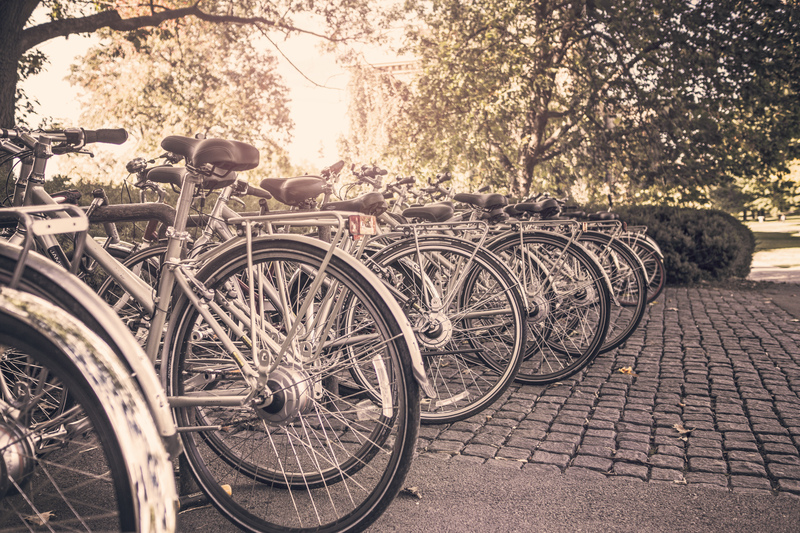 Promoting sustainable travel options can vary from implementing something as simple as installing bike racks at the office, to projects a bit more complex, such as carbon offsetting programs. Thankfully, there are a lot of resources out there to help you get started. What’s great about this program is that it provides companies, and their employees, with incredible resources, many of which include tips and advice on how to avoid, reduce and replace transportation emissions. They provide tons of ideas (and step by step instructions) on how to ditch the car (and the flight), showcasing amazing alternatives such as off-site employee work-space solutions, on-site electric vehicle charging stations and carpooling initiatives. A successful sustainability strategy can’t happen in a vacuum. And more than one department needs to be involved in order for your efforts to be truly impactful. That’s why creating campaigns and events in conjunction with these types of initiatives is a great way to strengthen employee engagement, workplace happiness and overall impact. Registering in events like the Commuter Challenge (where participants pledge to leave the car at home for a week) is a great way to motivate staff and make a difference. And you won’t want to stop there. In addition to all of the amazing resources mentioned above, the Living Planet @ Work program also offers guides and templates pertaining to travel reduction benchmarks, targets, audits and reporting. Keeping track of what’s going right (and what’s not) is a great way to show your commitment to sustainability. After the impact results, stats and reports have been finalized, be sure to share your successes. As Gregg LaBar’s blog post warns us, greenwashing isn’t the only thing we need to be fearful of. Companies with great innovations and ideas in the realm of sustainability are holding back, too modest to share their accomplishments. LaBar refers to this practice as “greenblushing.” This can impede on brand loyalty, innovative advancement and healthy competition. The point of the matter is this: when employees have access to (a) sustainable travel solutions, (b) engaging events that make a difference, (c) their company’s environmental impact results and (d) content and good news stories they can share with their networks–everyone wins. Corporate travel and workplace commuting doesn’t have to be the elephant in the room. Discover sustainable solutions via planning, implementing, engaging, tracking and sharing. Does your company have a great sustainability strategy for combating transportation emissions? If so, feel free to share your stories, tips and best practices in the comments section below! Remember to follow the blog and follow me on Twitter @CSRtist for more updates on sustainability, employee engagement and cause marketing. What a great article on how to be efficient while traveling! Businesses all around the world spend a fair amount traveling and would really benefit from something like this. Thank you for the awesome travel tips!